D&D’s settings have been, for the most part, different flavors of fantasy. One setting, though, decided to go in a very different directions. Instead of sword and sandals, it went for howling wolves and the children of the night. This setting is Ravenloft, and it brought true horror and dread to the world of Dungeons and Dragons for the first time. Ravenloft is particularly unique when it comes to D&D settings. Unlike most of the more popular settings, it wasn’t developed as a fan game. Instead, it began life as a supplementary adventure. 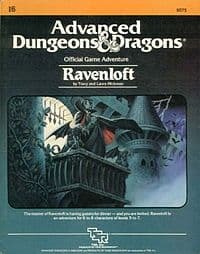 The original Raveloft adventure was I6: Ravenloft, which admittedly did have a great deal of what would make Ravenloft so popular already in place. From that point forth, it would become something of a juggernaut, inspiring a great deal of change and imitation throughout the line. Ravenloft is one of the few settings to be well-represented throughout D&D history. While it did eventually move to another publisher, it never really left the D&D world. It is a perfect example of how to keep a property fresh without destroying what made it special in the first place – something that hasn’t been done very well with most of the other 1980s settings. Following Ravenloft’s publication history is something of a study in how a setting can change over the course of decades and the tremendous amount of work that has to be done to keep it alive. Ravenloft launches in 1983 as a module, but it doesn’t stay confined to those pages for very long. By 1986, it is developed as a full-fledged AD&D adventure with its own game book and a sequel entitled Ravenloft II: The House on Gryphon Hill. It manages to be popular enough during this era to make the shift from adventure to proper setting, earning its own Realm of Terror set that would go on to be affectionately known as the Black Box. Ravenloft is revised twice during the AD&D era, first with the Red Box. Once D&D began its shift away from the boxed format, Ravenloft would be revised again as a hardback format called Domains of Dread. It would end up a spectacularly successful line for TSR, though even it would have its problems once the D&D property was sold to Wizards of the Coast. Interesting, Ravenloft did get its own spin-off in the 1990s. Entitled Masque of the Red Death, it took place on the so-called “Gothic Earth” during a version of the 1890s. In this version of the world, fantasy creatures existed on the outskirts of civilization – a major departure from both the original Ravenloft and from most D&D settings. After Wizards of the Coast took over the Dungeons and Dragon property, the Ravenloft setting was licensed to White Wolf through its Sword and Sorcery imprint. White Wolf was a natural fit for Ravenloft, with its own World of Darkness setting owing quite a bit to the original game. White Wolf would hold on to the license until 2005, at which time it reverted back to Wizards of the Coast. Before the reversion occurred, White Wolf would manage to publish handbooks for both Dungeons and Dragons 3.0 and for the 3.5 revamp. Ravenloft had some fairly major changes under White Wolf, most of which were due to the fact that it wasn’t published by Wizards. Major characters had to be removed so that the references to WoTC intellectual property wouldn’t provoke a law suit and the entire pantheon of gods would have to be reworked to be Ravenloft specific. Because of rights issues, some of the planned material for this version of Ravenloft wouldn’t be released. The final supplement was released as a free PDF in September of 2005, bringing an end to White Wolf’s involvement with the setting. 2006 brought Ravenloft back to the original D&D line. The publication of Expedition to Castle Ravenloft updated the original first edition to run on 3.5 edition rules. It was a unique product that was made to work with virtually any D&D setting, since players would only need the three core hardcover books to run the game. In addition to the rewrite of the original adventure, Wizards’ version of Ravenloft also included some of the original maps from Ravenloft and a set of new character options. Expedition to Castle Ravenloft was a well-received return to form for Ravenloft, one that largely ignored everything that White Wolf had done with the property. This would be the only major Ravenloft product created by Wizards during the 3.5 era. It does seem as if more products were in development during 3.5, but the push towards publishing 4th Edition seems to have put Ravenloft on the back burner. 2008 was a major year for Ravenloft. Wizards of the Coast announced that they’d be bringing Ravenloft back to the world of Dungeons and Dragons and re-introduced the setting in an online issue of Dragon Magazine. Accompanying the reintroduction of Ravenloft were a pair of new novels that used the setting along with a short story for the Halloween issue of Dragon. Unfortunately, plans to release a stand-alone 4th Edition version of Ravenloft never came to fruition. It was scheduled for late 2011, but seemingly never materialized. The biggest change in Ravenloft would come in the 4th Edition Manual of the Planes, which placed the entire setting within the Shadowfell. While this wasn’t nearly as well-received as a full game would have been, it still firmly tied the Domains of Dread to the 4th Edition cosmology of the game. This put Ravenloft as just another part of the planar universe that could be reached by players of and D&D game. 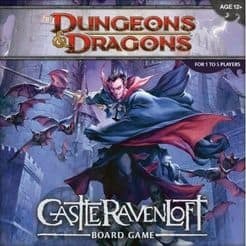 A 5th Edition Ravenloft adventure was released in 2016. Entitled Curse of Strahd, this adventure was developed in-house and featured contributions from the setting’s original authors. Though not an entire stand-alone game, it does point towards an interesting future for Ravenloft. As of mid-2017, there don’t seem to be any plans for new Ravenloft. Given 5th Edition’s tendency to go back to old setting for inspiration, though, this shouldn’t deter fans. 5th Edition is just getting on its feet and there seem to be no limits on what might be published in the future. Ravenloft is best characterized as a world of Gothic Horror. Unlike most D&D settings, it is one that prizes a feeling of dread over all else. In the original Ravenloft setting, one did not access Ravenloft on purpose – instead, the Mists could – and often would – show up anywhere on the Planes. With few exceptions, this allowed players of almost any D&D setting to take a quick jaunt over to Ravenloft and expose their characters to the horrors therein. While the setting has changed over the years, a few things have generally remained the same. The major theme of Ravenloft – the ability to give into darkness – has always been there. So too has the tendency for characters to be manipulated and have their prejudices and expectations used against them. In many ways, Ravenloft is what happens when you take everything one expects from a game of D&D and turns it upside down. Within the setting, two things stand out. The first is the concept of the Dark Powers and how they interact with the players and the setting. The second is the collection of characters that have helped to make Ravenloft so unique. Ravenloft takes places in a part of the D&D universe known as the Demiplane of Dread. This area is controlled by a number of creatures known as the Dark Powers. The Dark Powers have never been particularly well defined or numbered, and for good reason – doing so helps to keep the feeling of omnipresent dread going in campaigns that are full of even seasoned characters. The Dark Powers are usually represented by the Dark Lords, who serve as a kind of visible representation of authority in Ravenloft. These Dark Lords are not able to be defeated – or even really combated – in most cases, and the Dark Powers certainly cannot be assaulted. What players instead experience is a world in which they must deal with nearly omnipotent Dark Lords who are constantly tormented by the same Dark Powers that whisper to the players. The Dark Powers seem to spend most of their time figuring out how to keep the Dark Lords well tormented. They generally interfere with fate so that these characters can never truly feel happiness, which in turn keeps them working to make the Demiplane miserable for all of its other inhabitants. The various Dark Lords never give up hope, but neither are they ever given a real way to win. The players interact with the Dark Powers in terms of Dark Power checks. From time to time, a roll is made by the Dungeon Master to decide if the Dark Powers are influencing the player. Over time, players who fail too many checks will succumb to the influence of the Dark Powers. In terms of game mechanics, this can often mean an alignment switch – something that can be catastrophic for players of some good-aligned classes. On the other hand, the Dark Powers aren’t always evil. 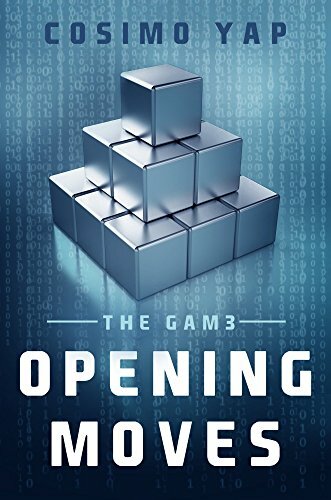 They tend to operate as something of a force of justice in the Demiplane, helping to decide if NPCs and characters are fit to be released from the Demiplane of Dread. Assuming that there’s anything good about the Dark Powers is usually a bad idea, though – they tend to act because they want to, not because of any set reason. In practical terms, the Dark Powers are designed to be ineffable hands of fate. While they certainly skew more towards evil than towards good, they act entirely in favor of their own interests. They are not characters – they are the forces at the heart of any Ravenloft campaign. While it’s impossible to truly interact with the Dark Powers of Ravenloft, most campaigns tend to center around interactions with Darklords. If the Dark Powers are the entities that give Ravenloft its background feeling of dread, it is the Darklords that bring the horror aspect. Instead of just causing bad things to happen by their presence, Darklords do truly evil acts. Amazingly, though, many Darklords tend to be at least somewhat sympathetic. To become a Darklord, a character must do something truly horrific. In most cases, the action is a crime that has attracted the attention of the Dark Powers. The Dark Powers bring the future Darklord to Ravenloft as a punishment, giving him or her ultimate power within his or her Domain. Here, the Darklord is essentially a god – albeit one who is tortured by all that he or she cannot have. Every Darklord’s Domain is different, and it is usually informed by the personality of the Darklord in question. The Domain is a combination of paradise and prison for the Darklord, as he or she has both ultimate power and an inability to get what he or she truly wants. Usually, the Darklord’s object of desire is nearby – just close enough to see, but never to truly reach. 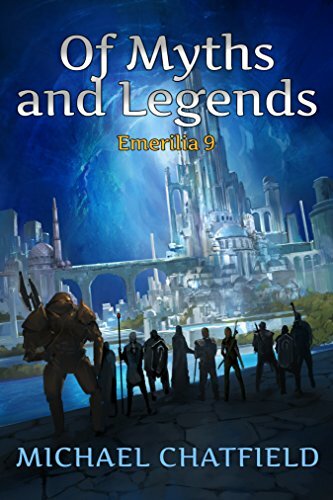 Darklords can never leave their Domain, but their subjects can – if the Darklord allows it. As such, there can be communication between Darklords and even wars between them. The last place a player character wants to be is caught between two of these powerful creatures – something that tends to make for a great campaign hook. There are a handful of major characters that have tended to pop up in Ravenloft’s various supplements and novels. While most of them weren’t present during White Wolf’s tenure with the property, most of them have snuck back into the setting through various other updates. Most of these characters tend to follow fairly straight horror tropes, with some of them being the D&D versions of classic monsters from literature and film. 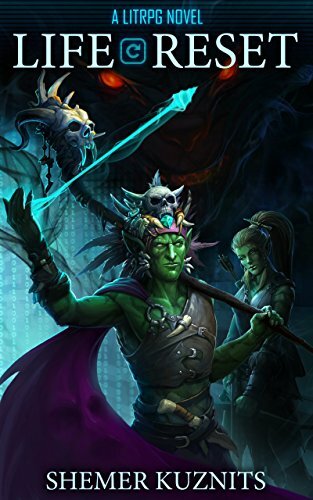 • Adam: Essentially the D&D version of the Monster from Frankenstein. The Darklord of the Lamordia Domain, he is the tortured creation of Doctor Mordenheim. He is inextricably bound to his creator, and the link between the two is a source of great misery for both characters. Ankhtepot: The D&D version of the Universal Studios Mummy. Ankhtepot is a greater Mummy and a Darklord who wishes only to rule a great kingdom and to be mortal. As a Darklord, he is denied both. He can become human if he sacrifices a human life – something that only lasts from sun-up to sun down and robs him of all his powers. Azalin Rex: A character from the Greyhawk setting that attempted to escape from Ravenloft. Sought the ability to extend his own life and was eventually punished for it. An explorer of Ravenloft who ended up with his own Domain and a seriously complex backstory. Not present in the White Wolf version. Frantisek Markov: Darklord of Markovia. Experimented with animals and sold the meat. Eventually murdered and experimented on his wife. Can be thought of as the D&D version of Doctor Moreau. Harkon Lukas: Darklord of Kartakass. Wolfwere, which is basically the reverse of a werewolf. Has two children. Hazlik: Darklord of Hazlan. Only cares about his magical research. Head of a religion called the Iron Faith. Unlike most Darklords, he doesn’t particularly care about leaving Ravenloft or accomplishing anything else beyond extending his own life and doing his research. Inajira: Arcanoloth who turned Strahd into a vampire. Ivana Boritsi: Darklord of Borca. Has a storied lineage that includes a few werewolves. Interestingly, seems to be the combination of both Elizabeth Bathory and Lucrezia Borgia for Dungeons and Dragons. Doctor Rudolph van Richten: Vampire hunter and hunter of all things supernatural. Writes the van Richten guides, which are incredibly useful for all travelers of the Demiplane. The D&D version of Abraham Van Helsing. Lord Soth: Originally a Dragonlance character and thus absent from the White Wolf iteration. Became Darklord of Sithicus. Managed to escape the Demiplane of Dread largely by ignoring it. Strahd: The feature villain of the first Ravenloft adventure. Best known of the Darklords. He’s a vampire who pines for the woman he lost. Died at the end of the first adventure, but was brought back due to his popularity. Evil incarnate, but strangely sympathetic in many portrayals. Vecna: Another Greyhawk character. Very powerful Lich. One of the first characters players see transported to Ravenloft due to his sheer evil. Victor Mordenheim: The D&D version of Victor Frankenstein. Wishes for nothing more than to resurrect his dead wife. Tied on a very deep level to his creation Adam, which has turned out poorly for everyone. Another one of the more sympathetic characters in Ravenloft, albeit one who probably deserves his punishment. Vlad Drakov: Darklord of Falkovnia. Another character from Greyhawk. Doesn’t really seem to understand that he’s in the Ravenloft setting, though he knows that he’s stuck where he is. Destroyed a village that ended up rising as zombies. Not in a great place when he’s met by most player characters. Ravenloft, like many of the other D&D settings, did manage to make a transition from the game book pages to other forms of media. While Ravenloft never had quite the same level of success as Greyhawk or Dragonlance, it nonetheless made quite an impact. Most of its showings in other media were in novel form, though a few video games were released. Ravenloft was the setting of twenty-two novels and a pair of short stories, the vast majority of which focused on the various Darklords of the setting. Each novel would focus either on the Darklord or on the Darklord’s domain, which sometimes would draw in a number of more standard adventurers. These novels were largely gothic horror versions of more traditional D&D tales, though a few did manage to really break out of the mold set by other D&D publications. Generally speaking, the best-received were the two I, Strahd novels and Mordenheim, though a fair number of the other books have their fans. One of the most impressive things about the run of the Ravenloft novels are the names attached. 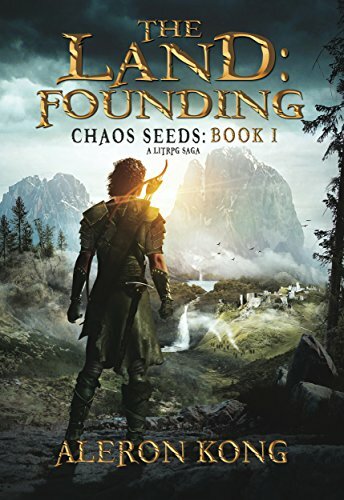 These books were written by a number of authors who would go on to make major names for themselves in the world of Fantasy and Horror, including Christine Golden and Laurell K. Hamilton. Three games were released under the Ravenloft banner, two of which are fairly well respected even today. While they weren’t Gold Box games, the two role playing games released by SSI are often praised for pushing forward both the technology of the games and making more out of the engine than some of the disappointing titles surrounding their release. On a weird note, there was a 3D fighting game released called Iron & Blood: Warriors of Ravenloft. Players could choose a character from the side of good or evil and fight. The game is absolutely not worth playing, not even as a curiosity. They also had a Ravenloft board game. What does the future hold for Ravenloft? As of mid-2017, Wizards of the Coast is fairly quiet about the setting. It’s likely that at least one or two adventures will make their way out during 5th Edition, but it’s hard to tell with Wizards. A fair number of other games carry on the Ravenloft spirit, though, and D&D players have largely incorporated the flavor of the setting for their own adventures. It is a setting that has changed the way players look at D&D – even if it doesn’t quite get the respect from the publishers it deserves. Ravenloft might be waiting for its comeback, but that doesn’t mean it’s gone. If you’ve got experience with Ravenloft, let us know – we’re waiting in the Mists for you!